Colleges and universities throughout the United States and abroad have expanded their efforts to make various student populations feel welcomed and supported on campus. While most recruitment efforts are focused on minority groups like African American and Hispanic students, there are several institutions honing in on students of the Jewish faith. Many Jewish families put significant weight on where a child attends college, and several elite institutions reflect that inherent education value. However, the pressure to make it to a prestigious school comes with concern over how to pay for tuition, room and board, and living expenses. The rising cost of college across the board makes it necessary to find extra dollars, without going into a substantial amount of student debt. Like other prospective and current college students, individuals who are involved in their Jewish community and faith have opportunities to reduce the out-of-pocket cost of attending college through select scholarships. From religious organizations to nonprofits and private donors, jewish scholarships are available to students attending a variety of colleges and universities based on academic achievements, community leadership, engagement with local or national Jewish organizations, or proven financial need. Whether you are an undergraduate or graduate student, if you are of Jewish heritage and looking for funds to help offset the cost of earning a degree, here are several jewish scholarships for which you may qualify. This program provides up to $40,000 to graduate students studying at an accredited school in the U.S. or Canada. Students must be attending college full-time, and individuals are only eligible for this award if they are planning to pursue a Master’s degree in public administration, social work, or a related field. Applicants must also combine their major with graduate level classes on Judaism. In exchange for the award, students must agree to work full-time after graduation for FEREP. Students must hold at least a 3.0 grade point average from their undergraduate studies in order to qualify for this award. Applications must be received prior to February 12th each year. This foundation provides a scholarship award worth up to $5,000. In order to be eligible for this award, students must practice the Jewish faith and plan to attend an institution of higher education. Furthermore, the student must currently live or have previously lived in the Hartford, CT area. Students must also demonstrate financial need and be residents of the United States. More information about the application process and eligibility requirements can be found on their website. This scholarship is open to students who are residents of counties in the Pittsburgh area. Students must demonstrate financial need to qualify for the scholarship, but any high school senior who is Jewish and who has lived in one of the eligible counties for at least two years is encouraged to apply. More information about qualifications and the application process can be found on their website. This scholarship program provides incoming Jewish students with an award of up to $12,500. This scholarship requires students to have excelled academically and to have high standardized test scores. In addition, leadership ability is taken into consideration when selecting winners for this award. The award recipient may receive funding for up to four years. Additional information can be found on the USC website. This scholarship provides up to $24,000 in scholarship funds to well-qualified students. The selection criteria include academic merit and high scores on the SAT or ACT. Other personal factors, such as overcoming adversity, unique talents, and military service are also considered as part of the application process. University of Wisconsin at Madison provides several scholarships for Jewish students who plan to major in Jewish studies. For example, the Robert and Beverly Natelson Family Award provides up to $3,000 for a student to study at the university. Both academic merit and financial need are considered when making award decisions, so all students of Jewish heritage are encouraged to apply. This contest provides twelve awards to qualified students. The first prize scholarship is for $1,800 and the second prize scholarship is for $750. Students must write an essay no more than 1,500 words, based on their grade in school, that either addresses the importance of maintaining their Jewish identity or what they will do if they encounter anti-Semitism. All finalists will be contacted prior to May 23rd, and actual awards will be distributed before June 30th. More information about the eligibility requirements and application process may be found on the site. This fund is made available to high school seniors who have shown a proven track record of significant volunteer work within their local Jewish community in Montgomery County, Maryland. Each award of up to $6,000 is based primarily on financial need, and up to two years of funding may be offered to eligible students. Applicants must be U.S. citizens or actively working toward citizenship, and accepted into an accredited undergraduate program, a vocational school, or a community college. Additional information about the award, eligibility requirements and application deadline can be found on the JSSA website. 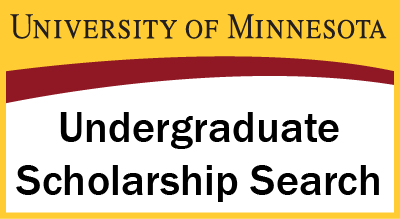 This scholarship is an annual award given to qualified students in the amount of $1,500. Applicants for the scholarship must be of Jewish heritage and have been a permanent resident of Sonoma, Marin, San Francisco, San Mateo, or northern Santa Clara counties for at least two years before submitting an application. Eligible students will be able to show financial need and have a minimum GPA of 3.0. The most qualified students will also be able to show a meaningful connection or dedication to the Jewish community. Information about application deadlines and the application process may be found on the site. This program offers up to $1,000 awards to qualified students who are able to show significant leadership skills. 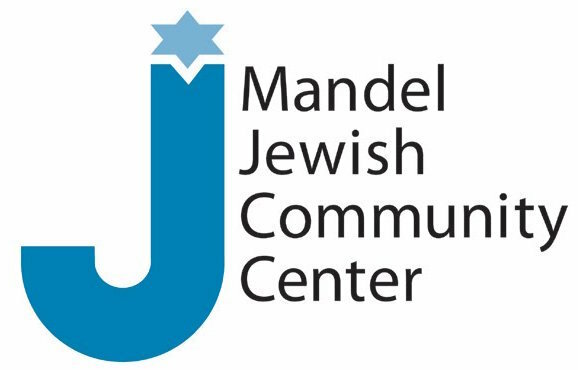 The organization is committed to promoting the development of Jewish identity while nourishing connection to Israel and the greater Chicago Jewish community. Students who are enrolled in an undergraduate or graduate program may apply, so long as they reside or attend school in the Chicago-metro area. Information about the application deadline, additional qualification criteria, and the application process may be found at the Jewish United Fund. Jewish students and their families have many different opportunities to find funding to use toward earning an undergraduate or graduate level degree. Many scholarships are based on financial need, based on information included on the FAFSA, but there are also a handful that focus on a student’s dedication to the Jewish community, proven academic achievements, and leade﻿﻿rship ski﻿﻿lls shown over time. Jewish scholarships are a smart way to offset the total out-of-pocket cost of attending an accredited college, university, vocational school, or community college as most do not need to be repaid. Leaving college without a significant student loan burden sets Jewish students up for lifelong success in their chosen career field, and allows them to focus more on other financial goals early on. Each scholarship award differs in terms of eligibility requirements, application process, and deadline, so it is important to review these factors before applying for an award.